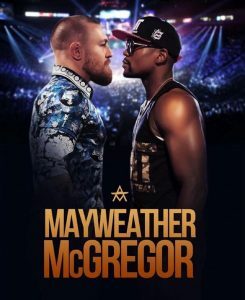 It was deemed “The Money Fight” 40-year-old legendary boxer Floyd Mayweather held 15 world titles in five weight classes and “Money” Mayweather Jr. came out of retirement and defeated Ultimate Fighting Championship’s (UFC) superstar “Notorious” Conor McGregor in the most lucrative fight in sports history on Saturday August 26th, 2017 by way of TKO in the 10th round. 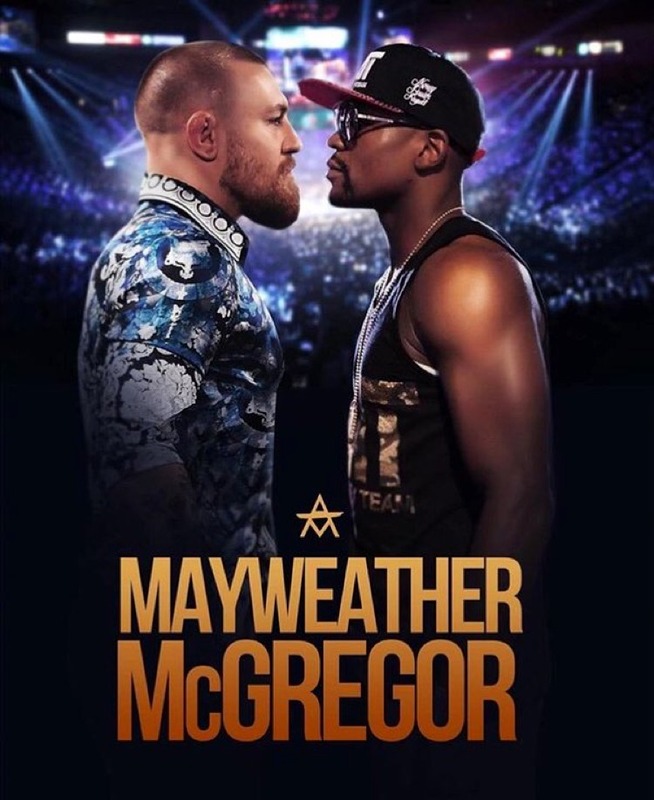 Mixed martial artist McGregor was on a hunt to make history and take down Mayweather’s unblemished record of 49-0 as they took part in the biggest boxing event of our time inside MGM Grand of Las Vegas, Nevada. Never have these two sports come together to put on a spectacle that is known and anticipated around the world. People compared the clash of sports to Michael Phelps racing against Usain Bolt. One of such comparisons provided by Wayne Gretzky who was on the record saying the fight will be like a figure skater competing against a hockey player. Pay-per-view numbers were shattered as a recorded 6.5 million people worldwide had paid for the massive showdown at a premium rate of $89.95 USD, on top of an extra $10 USD for high definition viewing. From the beginning, the fight started outside of the ring, as it was a tug-of-war between the two megastars to see who could attract the most attention and who could press the most where it hurt. The fight before the fight took place over social media and in a handful of press conferences where each fighter tries to prove why they are going to win. From posting threats about each other on social media, to all the press conference debacles and gimmicks, these two fighters were ready to prove to the world why this was the most hyped up fight in history. Shots were fired early on and in the weeks before the fight as one of four scheduled public press conferences were held in four cities in a span of four days. The truth is that Mayweather had never fought someone with the presence that McGregor brings to the octagon on a regular basis. It seemed to be the popular consensus that “Money” is the best boxer of our time, and he would have his skills tested come Saturday night. Conor McGregor is no stranger to the boxing field despite of what the average sport world had believed. All odds were stacked against McGregor in this fight but many believed his size, speed, and power would be the difference in the boxing ring. His best strategy would be to come out early and fast, making as large of an impact to tire Mayweather out and hope for a chance at a knockout punch. With the boxers agreeing to fight in unconventional 8 oz. gloves compared to the standard 10 oz. that is set for the weight class, the fight was set for challenger McGregor who came into the fight at a weight of 153lb to Mayweathers 149.5 and the fight was on. McGregor came out with his guns blazing and to everyone’s surprise, took the first three rounds. His different style of boxing threw Mayweather off which forced him to adjust his technique and style just to stay in the game. The main problem McGregor had was the consistent hammer punches he was getting in trouble for as he was constantly being warned by referee Robert Byrd. Floyd handpicked Byrd, a veteran referee and respected in the boxing community. Mayweather kept his cool for the first three rounds and let the Irish fighter tire himself out. As the fight went on, he adjusted to McGregor’s aggressive tactics and took the fight right back to him, winning the next six rounds. When the seventh round started McGregor’s fatigue became apparent as he is only used to fighting five rounds in the UFC and has only fought 25 minutes at the most. Mayweather continued to advance, eventually tiring out McGregor so much where he couldn’t defend himself. Byrd called the fight a victory to Mayweather one minute into the 10th round, by TKO. Now that the fight is over, look at Mayweather to enjoy his retirement, and probably not put the gloves on in a professional ring again. He’ll be looking to spend some of his 100 million dollar payout from the fight. McGregor will look to enjoy some time off, before he starts to prepare for his next UFC fight, perhaps a McGregor/Diaz chapter three? Throwing almost 40 punches more than Manny Pacquiao in 2 less rounds, and beating one of the greatest of all time in the first 3 rounds, shows that McGregor means business, that is if you were a Connor fan. Those on the flip side would argue that the inefficiency shown by McGregor was the reason he shouldn’t have been near a boxing ring as his 28% punching accuracy didn’t seem to phase Floyd at all as some experts believe only around 10-12 punches were actually felt by Mayweather.